R.V. Silvers, age 94, of Dalton, passed away Wednesday, November 7, 2018 at Hamilton Medical Center. He was preceded in death by his parents, Chesley and Henrietta Silvers; brother, Edward Silvers; and brother-in-law, James Stafford. 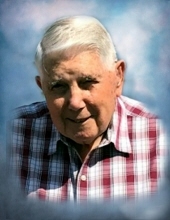 He is survived by his loving wife of 39 years, Joyce Silvers of the residence; sons and daughters-in-law, Greg and Florene Silvers, Bruce and Lisa Painter and Aaron Painter, all of Dalton; grandchildren, Brad and Daina Silvers of Rocky Face and Zachery and Kacie Silvers of Dalton; 4 great-grandchildren also survive. The funeral service will be held on Sunday, Nov. 11, at 2 p.m. at Salem Baptist Church with Rev. Bill Walker and Rev. Amos Ridley officiating. Burial will be in United Memorial Gardens. The family will receive friends at the Pleasant Grove Chapel of Julian Peeples Funeral Home on Saturday from 4-8 p.m.